Fish Media has created a digital portal for Noble Foods, the UK’s leading supplier of fresh eggs, to enable better communication with their Producers. The brief was to provide a platform that allows Noble Foods to quickly and easily disseminate information to, and capture production critical information from, their network of Producers located throughout the UK. The final solution Fish Media provided is a secure, bespoke web-based Business Management System that includes the following key features. 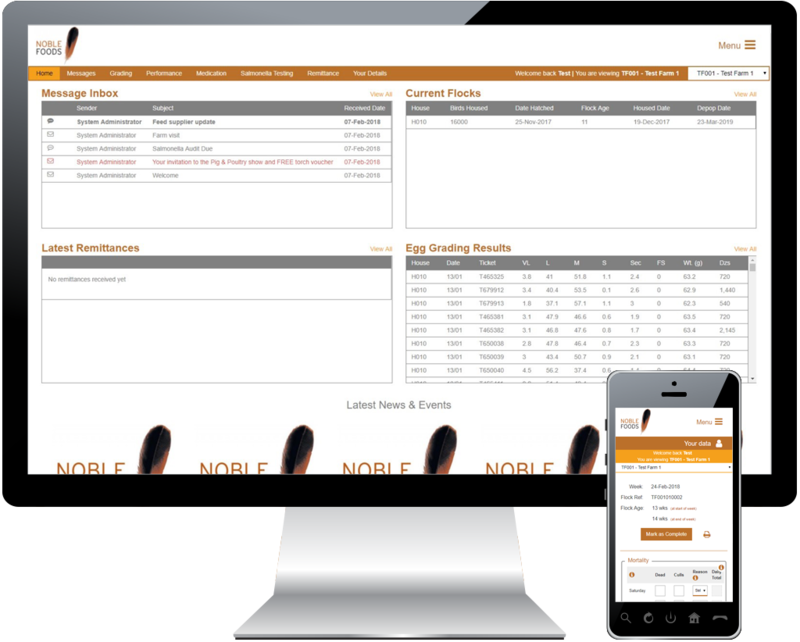 The system has helped streamline business processes for Noble Foods by providing a central portal to manage information and tasks that were previously processed manually leading to a significant saving in administration time. 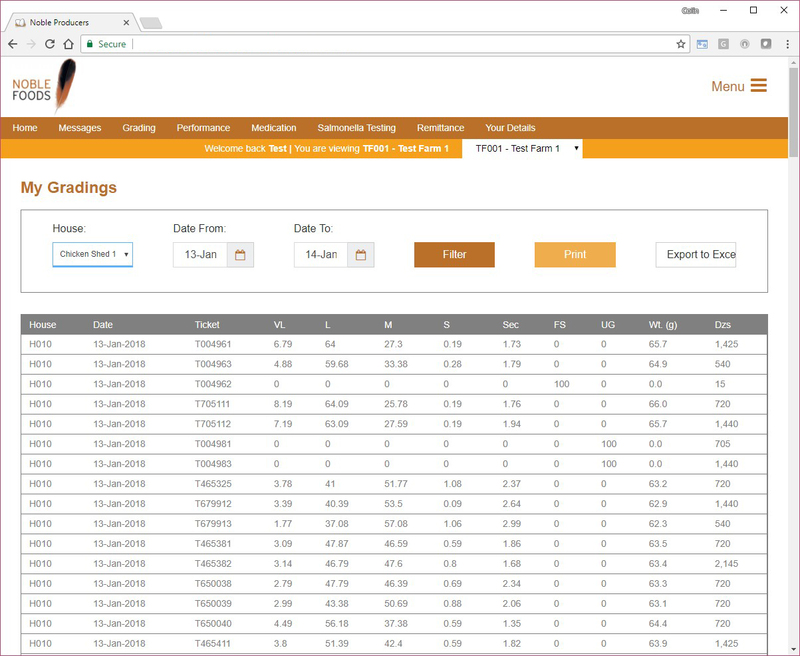 The portal has a responsive interface to ensure that the Producers can access and record their data via their desktop, tablet or mobile devices – helping relieve the burden of their daily reporting tasks.